We can all breathe a sigh of relief; Australia is heeding UNESCO’s warnings about the risks to the wellbeing of the Great Barrier Reef and taking action to protect this wonder of the natural world for future generations. In the face of evidence that 50% of the reef’s corals have been lost in the past 30 years, the Australian government published their Reef 2050 Long Term Sustainability Plan and announced increased spending earlier this year. Their plan includes a ban on the dumping of dredged material in the protected areas of the reef to cut sediment by 50%, a review of fishing practices and a scheme to reduce farmland nitrogen run-off by 80%, all supported by a $2bn ten-year financial package. 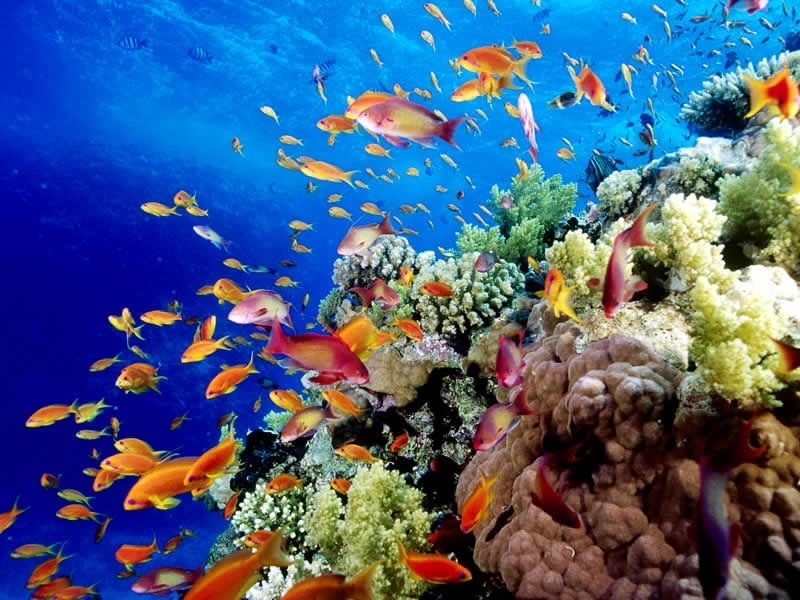 Prime Minister Tony Abbott stated at the launch of the plan that, “We’re making our position clear right around the world; this is a number one priority of the Australian government to protect the Great Barrier Reef”. This is progress indeed. Australia’s scientific research is clearly in agreement with the IPCC and the World Wildlife Fund, to name just a few, that the greatest risk to the world’s reefs is climate change. This is supported by the fact that the recent high levels of damage to the Great Barrier Reef have been caused predominantly by the increased occurrence of cyclones in the area. Yet, in the face of such evidence, Tony Abbott has stated in parliament that, “water quality is the key to reef protection” and “at the heart of the long-term plan is water quality“, while foreign minister Julie Bishop has stated that the reef “is not under threat from climate change“. So why does the government’s Reef Sustainability Plan blatantly ignore the issues of climate change and focus solely on water quality? What we have is a serious case of denial; a denial that Abbott’s government feel must be maintained in order to protect the country’s economic interests. Queensland, home to the reef, is also the site of the Galilee Basin where plans are underway for what will become one of the world’s largest coal mine developments. The project is hoped to attract $28bn in investment and create 15,000 jobs, while the carbon emissions created by this development would reach 700 million tonnes a year, more than doubling Australia’s current output. Meanwhile, Abbott and his government stand by the assertion that “coal is good for humanity“. When the Green Party questioned this in parliament they were heckled and decried as, “a bunch of clowns” by government members. Recently however, some investors in the Galilee Basin project have become nervous in the face of advice that coal reserves need to be left in the ground if global warming is to remain under 2 degrees. What the Australian government is desperately trying to avoid is a direct link between the Galilee Basin and the Great Barrier Reef being made, resulting in further pressure to restrict economically lucrative mining in favour of environmental protection. So what the Long-Term Sustainability Plan is is a band-aid, not the start of a recovery process. And more than just being a band aid for the Reef, it is a band aid for Australia’s increasingly questionable environmental record. In the face of criticism by UNESCO and Barak Obama, Abbot needed to be seen to be doing something to protect his country’s number one natural heritage site. The Reef itself feeds over $5bn into the economy annually and any suggestion that its beauty is fading needs to be suppressed. The Abbott government has spent $100,000 lobbying 19 of the 21 member nations of the World Heritage Committee in order to avoid an ‘in danger’ classification for the Reef at the UNESCO meeting in Germany next month. 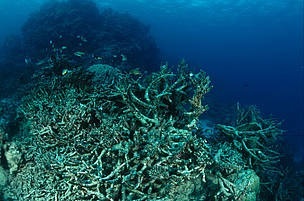 The lobbyists are brandishing reports, including one by the Australian Institute of Marine Science (an agency who report directly to the Ministry for Industry and Science), which detail aspects of the reef’s recovery. However, on closer inspection, these show recovery solely in terms of water quality and sea grass growth, not the health of the corals themselves. Abbott believes that, “a stronger economy and a better environment should go hand in hand” but until he recognises and fully believes that the environment can only truly be protected by addressing climate change, he will continue to allow the scales to tip in the favour of the economy in this delicate balancing act.